The third Fiber Arts Day, an educational event for all ages sponsored by the Historical Society of Haddonfield, is scheduled for Saturday, April 29, from 10 a.m. to 4 p.m. at Greenfield Hall, 343 Kings Highway. Admission is free. Donations will be accepted. Watch demonstrations on that amazing antique circular sock machine, the electric spinning “wheel,” Shaker style method of weaving baskets, knitting in the round, crocheting and the Broom Squire will be making broomcorn brooms. Take this opportunity to try your hand at spinning and weaving. Rigid heddle looms and a four-shaft loom will be set up, as well as an Inkle loom. New this year is a demonstration of dyeing fibers with traditional and modern (KoolAid) methods. Come observe this art of color exchange from 11:30 a.m. to 1:30 p.m. as Susan Makuka, President of the South Jersey Guild of Spinners and Handweavers, explains the process. New, too, will be Judy Weinstein, owner of Jubili Beads & Yarns in Collingswood, demonstrating the Japanese art of rope making known as Kumihimo on a marudai loom as well as bead weaving and macrame board weaving. 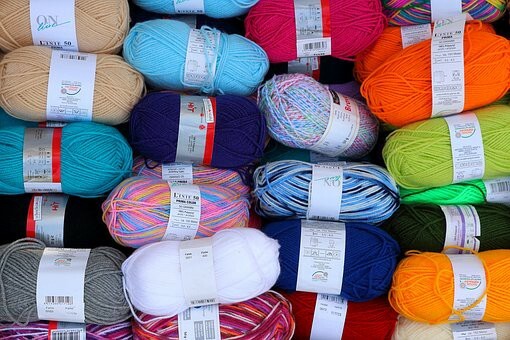 Danique Martin, owner of Hooked Fine Yarns Boutique in Haddonfield, will be demonstrating a variety of handknit techniques including lace and colorwork. Crochet work will include mandalas. Some demonstrators will have work for sale. This includes roving, hand dyed yarns, hand spun yarn, baskets, scarves, hats, cowls, shawls and kits to make a project yourself! For more information visit info@HaddonfieldHistory.org or call (856) 429–7375.